Has human life no quality at Elwood? In 1877 this was the heartfelt appeal from the residents of 'the comical autonomous dreaming kingdom of Elwood'. Their petition to government sought protection from frequent hazards such as flooding, bushrangers, human manure, isolation and strati shellfire. 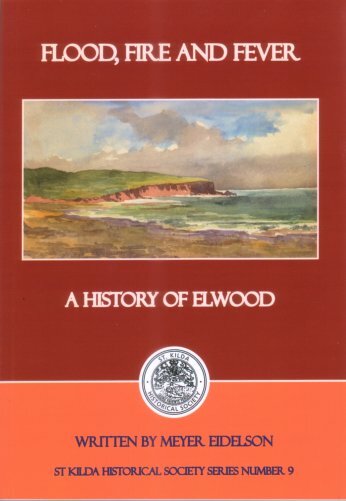 Author Meyer Eidelson tells the fascinating Elwood story from Koorie hunting ground to quarantine station, from swamp to Squizzy bolthole, from rifle range to Poets Corner, from graveyard to boom settlement, from wasteland to modern village. Recorded here also is the heritage of Elwood's buildings, memories of older residents, an art deco walk, and a range of essential photos. This book is an indispensable guide for all those who have fallen in love with, lived in, or just visited this delightful suburb on the crescent of Port Phillip Bay.